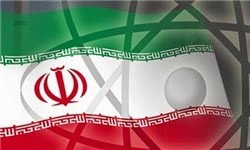 President Barack Obama appears to have succeeded in preventing Congress from enacting new sanctions against Iran, Jim Lobe said today at Lobe Log. Most observers on Capitol Hill believe the proposed new sanctions will be highly unlikely to be voted on before Congress’s Thanksgiving recess, Lobe said. Iran and the six major powers will meet in Geneva on 20 November and any new sanctions imposed by Congress would have had negative effect on the talks. Now optimism in reaching an interim deal on Iran’s nuclear program is on the rise. Lobe, citing rumors circulating in Washington, said that Secretary of State John Kerry himself may lead the U.S. delegation in Geneva. To read Lobe’s piece, “Obama Gets More Time for Iran Nuclear Deal,” please click here. The mullah regime understands one thing only. And that is to clobber them mercilessly into the ground. There is an air of optimism that an agreement will be signed off next week. Hopefully we will learn what Zarif was alluding to when he spoke about a well defined steps to the end game. The pessimist in me say that this may turn out to be an open ended agreement with no concrete timeline to the end game. Let's hope i am proven wrong. Terrorist regime must be choked off for good so that our people will be able to breath freely. http://www.youtube.com/watch?v=rGWeZ0wC7pE --- Henry Precht and Secret agent Mendez talk about the hostage taking in the US embassy.